On this page youll find the most popular bitcoin exchanges and trading platforms which offer trading / exchanging without trading fees! At the moment Bitmex offers 10% off on all trading fees for the first 6 months, if you sign up through this page. None, you pay their crypto price and that's it, aside from PayPal charge. Trading fees are mostly just a small percentage or a fraction of a percent, so most people dont care about them. 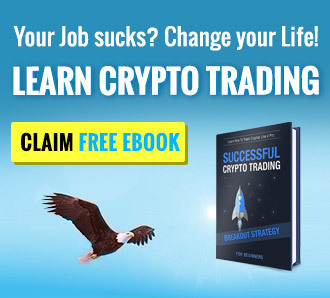 But when you are a professional trader – or you want to become one, that is a lot of money you hand over to the exchange over time. Each time you go in- or out of a trade, you have to pay a small percentage depending on the size of your traded position. To avoid that, there are a few platforms which still allow zero-fee trading. Formerly, most chinese Exchanges like Huobi or OKCoin had no trading fees – and therefore immense trading volume. But after the PBoC (Peoples Bank of China) had a intense talk with the heads of these exchanges, they introduced fees to their trading. Right after that, the trading volume went down more than 10x on these exchanges as most of the big traders (Whales) went to other exchanges where they dont have to pay. And with the bitcoin exchanges listed on this site, you can do the same. Whaleclub.co is a trading platform which charges NO FEES for trading different crypto currencies and also stocks and commodities on the platform. Apart from that, whaleclub.co also allows to trade anonymously without having to reveal your identity. The only two currencys which are supported are Dash and Bitcoin.